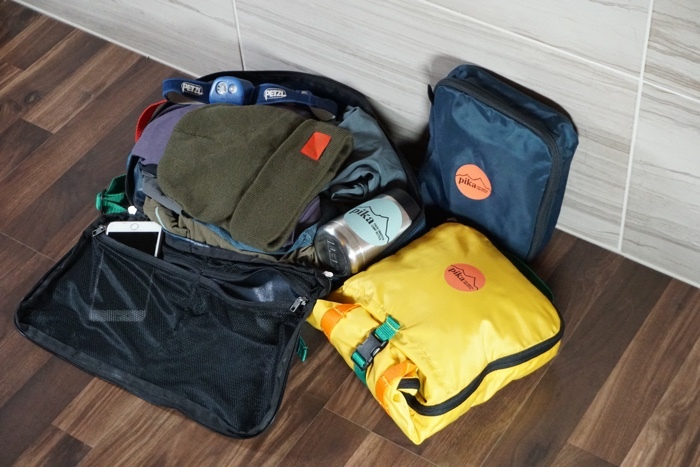 Three Denver-area friends are zipping up their solution to disorganization in the backcountry. 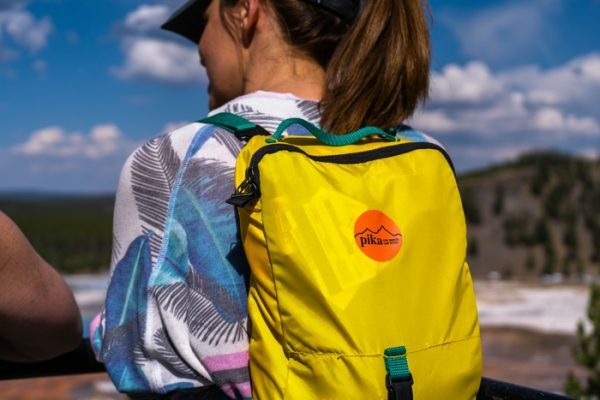 Claire Sunderland, Erika Aldeborgh and Nicole Kennedy launched Pika Products on Kickstarter last month, hoping to get $15,125 to make packing cubes designed for overnight trips in the outdoors. The campaign, which ends Feb. 21, was nearing $14,000 in sales as of Thursday afternoon. The idea for Pika Products, which derives its name from the small mountain-dwelling mammal, struck Sunderland, 28, and Aldeborgh, 27, last winter when Aldeborgh told Sunderland how frustrated she was with having to constantly reorganize her gear and belongings on backpacking or other outdoor trips. Sunderland had just returned from a three-month trip through South America, where she used packing cubes — zippered compartments that fit into a backpack or suitcase — to keep her clothes and belongings from getting jumbled and disorganized. “The concept is really awesome and it’s good for the travel industry, but the cubes on the market weren’t good for the outdoors and withstanding the elements,” Sunderland said. Pika Products’ cubes are designed to help organize gear for overnight trips in the outdoors. The friends decided to make more durable packing cubes. They designed three sizes made from a waterproof nylon material, and added handles, pockets and backpack straps for extra versatility. “It’s thicker than you would see on any other packs on the market,” Aldeborgh said, although the startup also plans cubes made from lighter material for ultralight enthusiasts. Sunderland and Aldeborgh brought on Kennedy, 33, in the fall to be their chief financial officer. The three friends met when they worked at Zen Planner, a Highlands Ranch software company. Kennedy and Aldeborgh since have moved on to other companies. After realizing they needed funding to start manufacturing the packs, Kennedy, Sunderland and Aldeborgh decided they didn’t want to give away control of the startup to investors or take out a loan, so they decided to go through crowdfunding. “The Kickstarter is set up to essentially provide everyone — all of our backers — with what they ordered,” Kennedy said, adding the rest of the funds will be used to make more product that they’ll sell online post-Kickstarter. Pika Products’ cubes will be manufactured at Colorado Contract Cut & Sew, located near I-25 and 6th Avenue in Denver. In its first production run, Pika Products will make between 250 and 500 packing cubes. The small, medium and large sizes will retail for $25, $35 and $45, respectively, although Kickstarter backers can pay slightly less. They plan to keep their daytime tech jobs for now, and will pour all their profits back into Pika to keep it growing.